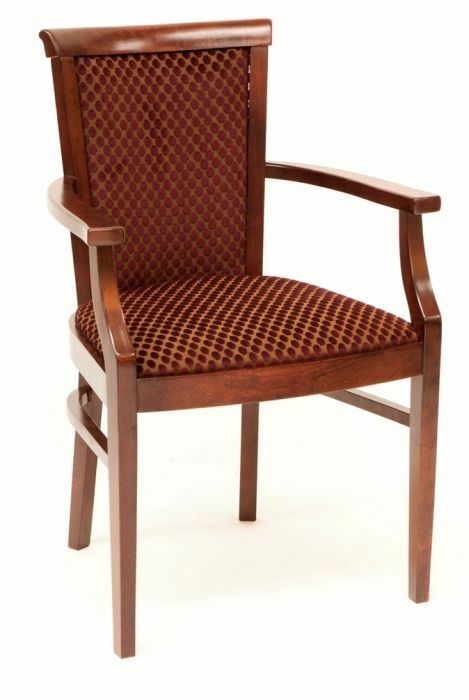 Dining arm chair with an upholstered seat and back and solid wood frame in a choice of finishes. Comprehensive upholstery choices. Suitable for a wide range of commercial applications. High quality designer dining chair suitable for upmarket public houses, restaurants and bistros.